Eberhardt Hall was renovated to serve as a new Alumni Center containing University Alumni Club, Conference Center, Overseers, and Alumni Association Board Room and offices for Alumni Affairs and University Advancement. DF Gibson Architects served as the historic preservation architect for the building. 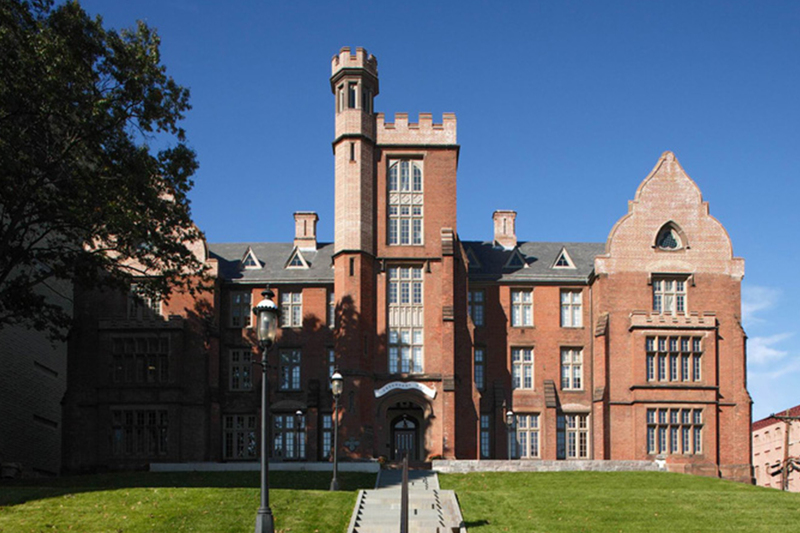 The exterior of the building is a rare and outstanding example of Elizabethan Gothic Revival Style. The exterior of the building will be authentically restored as technically possible to its 1881 appearance, the year of the founding of NJIT. All of the interior spaces have been totally altered over the years and all of their original finishes were lost except for the grand staircase. The Year 1881 was selected to be the date most appropriate for the restoration and recreation of the building’s interior, again because the university was founded during the period.